Talk about a 'cat nap'! They don’t call it a ‘cap nap’ for nothing. Let’s be real, no animal has quite perfected the art of sleeping like cats, which is not surprising considering they spend 90 percent of their day zonked out. 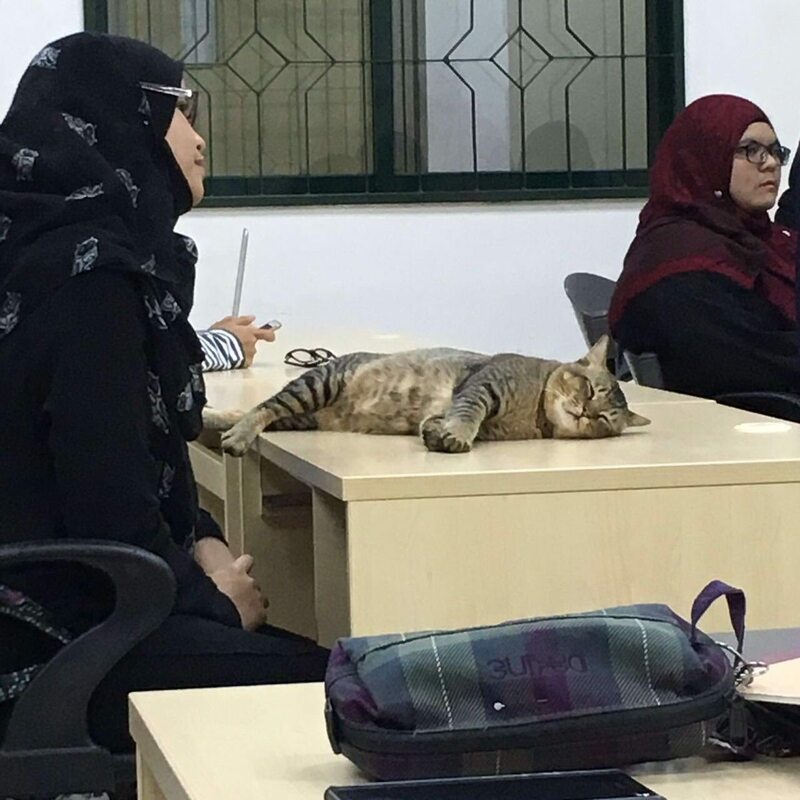 Anyway, about a year ago, a cat wandered into a class at the International Islamic University in Malaysia and took a seat. 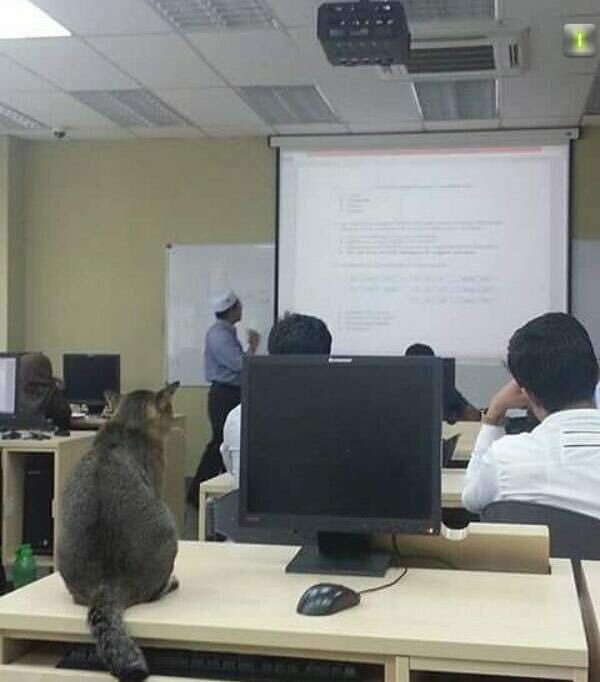 It appeared at first that the cat was very interested in getting the most of its education. It even resisted its cat instincts and ignored the mouse sitting right next to it. But eventually, the cat gave into its instincts and did what cats do best: it laid down and passed out. The cat was not particularly subtle about it either. It didn’t even try to put on sunglasses or pull a baseball cap down. Nope, it just flopped down on the table and was dead to the world. 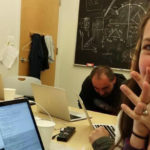 Twitter user Elynna Hashri documented the whole cat nap, though her Twitter account is private. 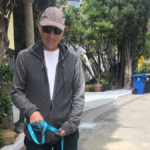 Hashri explained to BuzzFeed that the cat is a regular on campus, but no one knows his or her owner. I just hope someone was kind enough to take notes for the cat to study later. Maybe the cat should consider re-enrolling in kindergarten. I remember naps being a much bigger part of the curriculum in those days. Of course, it’s not surprising this story went viral, because animals taking naps are usually really cute—like, say, a police dog napping with an officer and a teen napping with a big ol’ cow.